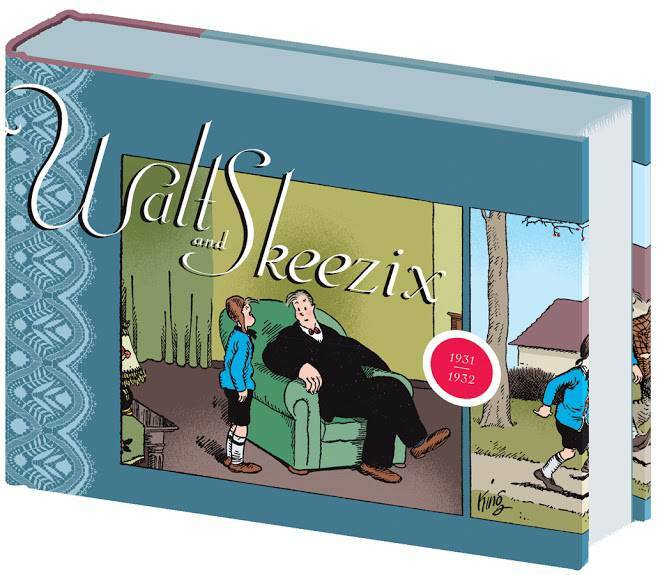 The Gasoline Alley gang enters a new decade with this volume: Skeezix moves from childhood to early adolescence and the high spirits of the 1920s give way to the Great Depression of the 1930s. Walt and Phyllis Wallet travel to England, an extended tour that echoes the real life journey taken by cartoonist Frank King and his family in the late 1920s. While his parents are away, Skeezix tries to solve the mystery of an arsonist. Now entering his teens, Skeezix comes to the fore of the strip as an adventurous boy surrounded by a gang of likeminded pals, and Gasoline Alley becomes an influential pillar of teenage-culture.